You’ve no doubt either known someone personally that has had a root canal performed or simply just watched amusing YouTube videos of people after the procedure – but what exactly happens during one? Let’s go over the basics and hopefully calm any nerves you may have regarding root canals! What Is A Root Canal And Why Is It Necessary? A root canal is a procedure done in order to save a diseased tooth. When the pulp deep inside a tooth becomes infected, usually due to an injury or a severely untreated cavity, the bacteria can spread to the tooth’s roots, nerve, and beyond. When the infection spreads past the roots of the tooth, an abscess (a puss filled pocket) begins to form. In order to save the tooth, the nerve and pulp are removed and the inside of the tooth is cleaned and sealed. The nerve is located inside a natural cavity in the middle of the tooth, along with the pulp chamber. This area is what is known as the root canal. If you’re concerned about losing your nerve (in more ways than one) – don’t be! The nerve merely provides the sensation of hot or cold; it’s removal will not affect the normal functioning of your tooth. With the help of anesthesia and access to the best modern technology we’re capable of, root canal treatment is typically no more painful than a tooth filling. With the question of pain out of the way, let’s focus on the actual procedure! Normally a root canal is done within two office visits and is over after about five steps. First, a needle (don’t panic, this will only feel like a pinch) is used to administer local anesthesia to numb the tooth. A small sheet of rubber, or a dental dam, is then placed near the tooth to help isolate it and keep it dry. Next, your dentist will use a small drill to access the inside of the tooth. Once inside, they will then use a file to remove any diseased pulp. After the chamber is cleaned thoroughly, a temporary filling will be used while you wait for your permanent crown. Within a few weeks you will return to your dentist and finish your treatment by having the crown (or similar structure) placed on the top of your tooth. Root canals are typically highly successful and many teeth that are fixed with one can last a lifetime. If you have any thoughts on root canals (or any root canal survivor stories) please leave a comment! Dental Implants: What’s the Cost? Dental implants can be jaw-droppingly expensive. But how can you know if your dentist is charging a fair amount? Here’s a breakdown of the average cost of dental implants and some ways you can save money on them. The total average cost for one dental implant is between $6,000 and $1,500. This is the out-of-pocket price; it doesn’t consider insurance or dental plans. This cost includes the surgery and other expenses, like the initial consultation. If you’re missing say, two to four teeth, the average cost is between $3,000 and $30,000. This procedure is generally only performed on those who still have a healthy gumline and healthy teeth on either side of the open area. The cost will vary depending on how many teeth need to be replaced, and the location of those teeth. Replacing all your teeth with a set of implant-supported dentures can cost between $7,000 and $90,000, with the average cost being $34,000. If you only need one of your plates replaced it can cost between $3,500 and $30,000. There can also be additional charges based on how many teeth need to be removed before the dentures are installed. To get an accurate picture of your teeth, a dentist will need to take an x-ray or a CT scan. These images form the foundation of dental surgery. Depending on how many images are required, a scan can cost between $25 and $200. A bone graft is a procedure a bone or bone particles from another part of the body are taken out and placed in the jawbone. This is only needed for those whose jaws don’t have enough bone to support an implant. The cost of bone grafts can vary based on the source of the bone and how much is needed. The bone can come from a cadaver, a cow, or be grown in a lab. This process requires two additional surgeries and hospitalization. The average cost of a bone graft is between $2,000 and $3,000. If you need any of your teeth removed before the implant is placed, that will cost extra. The cost of extraction will vary based on the length of the appointment and how difficult it is to remove the tooth. A wisdom tooth removal can cost between $75 and $200, while a non-surgical gum erupted tooth removal will cost between $75 and $300. A surgical tooth extraction, with anesthesia, will cost between $150 and $650, while soft-tissue removal or complicated surgeries can cost between $185 and $600. The best kind of professional for dental implants is a prosthodontist, someone who specializes in restoring or replacing teeth. A surgeon who’s still in dental school can cost an average of $500, while an experienced surgeon costs an average of $2,000. An implant procedure will also require an anesthesiologist, which can cost between $500 and $800 per hour. There are three main pieces of a dental implant, the implant itself, the abutment (screws into the implant), and the crown (which attaches to the abutment). Implants can cost between $1,600 and $2,000, abutments between $275 and $450, and crowns between $1,000 and $3,000. Getting a dental implant, or any sort of medical procedure, in the United States is often much more expensive than in other parts of the world. Countries with more advanced healthcare systems, like Australia, Thailand, or Mexico, can provide dental implants at a cheaper rate. Dental discount plans allow you to get discounts on all your dental services with no yearly limit. To get one of these plans, visit the DentalPlans website, where you can pick what kind of plan you want and view participating dentists in your area. Many healthcare plans don’t include dental, meaning people must pay for additional dental insurance. Dental insurance costs an average of $1,500 a year. If you can travel to a dental school, you could sign up to have a dental student perform an implant procedure. There will, of course, be a certified professional overseeing the procedure. If you need most or all your teeth replaced, you’ll probably need dentures, which can be expensive. An all-on-4 implant is a denture that requires only four implants, as opposed to 8-10. These can cost between $20,000 and $35,000. If you and a group of people you know need dental care, you could receive a group discount. It can be any care, not just dental implants. Crowdfunding websites like GoFundMe can help you raise money for medical expenses, including dental implants. Paying for dental care with a monthly payment plan is possible. Since this goes directly to the dentist, it can be cheaper than going through insurance. For both Medicare and Medicaid, dental care is not considered a priority. Medicare can help pay for some aspects of an emergency dental procedure. While Medicaid varies from state to state. There are tooth replacement options that are cheaper than implants. These include dental bridges and partial dentures, these will last around fifteen years, and can be cleaned like natural teeth. Root Canal: What, When, and How Much? 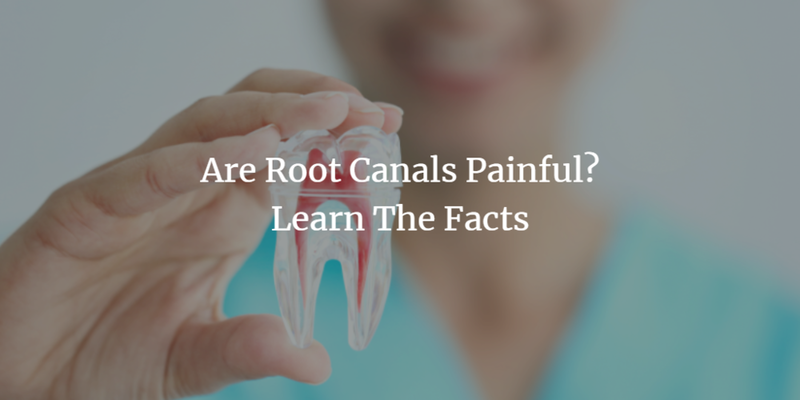 The goal of this article is to inform you on what exactly a root canal is, and to put to rest any fears you may have about the procedure. This dental procedure serves the dual purpose of both easing mouth discomfort, and improving the health of your teeth. A root canal specifically targets a tooth (or multiple teeth) that are decayed or infected. By going this route, you are able to save your teeth and avoid a costly tooth extraction. In addition, following a root canal you will be able to return to normal chewing, and be toothache free! There is also quite a bit of confusion surrounding when patients need a root canal. While some patients will have no symptoms at all, the vast majority will have one or more of the following symptoms. Toothache or issues chewing are the most common (and painful) symptoms. You may also notice an increased sensitivity to hot/cold food, or inflammation of your gums. Injury to the mouth or facial region can also cause sever enough damage that a root canal is necessary. Just having a lot of dental work done over the years is also another prerequisite. How painful is a root canal, and what does the procedure entail? The biggest misconception out there about root canals is that they are excruciatingly painful. In reality, the pain level associated with the procedure is similar to what you would experience with a routine tooth filling. It is important to keep in mind that a procedure as important as this one will require multiple visits to the dentist. The first step is to take an X-ray of your mouth to determine the severity of your tooth/mouth issues. This also allows dentists to detect any infections. Then, once the afflicted tooth/teeth have been located, it’s time to get started! Your dentist will numb the affected area and make a small incision in your tooth to release any bacteria that has accumulated. During this time, the entire inside of your tooth will also be thoroughly cleaned, greatly improving the tooth’s overall health. Now, it’s time to fill the incision site and seal your tooth back up. It is up to your dentist on whether this will happen during a separate visit, or immediately after your root canal. What is a root canal going to cost me? Luckily, this procedure is partially covered by the vast majority of health insurance companies! However, there is a wide variation in your actual out of pocket cost, depending on the severity of the damage/infection to your teeth and your individual insurance providers coverage. The rough estimate for the total cost of this procedure is $500-$1,500 for the root canal alone. You may need additional restoration to particularly damaged teeth following your root canal. In addition, the cost of a root canal can double if you choose to go to a specialist rather than an ordinary dentist. If you live in the Seattle, Washington area, give Creekside Dental a call for all your dental needs! They were recently named, “Top Dentist” by the Seattle Met for the 3rd year in a row. Even better, they can handle all of your dental needs. From regular exams, to root canals, and teeth whitening; the experts at Creekside Dental can treat patients of all ages! Trying To Find The Right Dentist? Learn The Basics Here To Get Started! Finding a good dentist and one that is right for you, can be a bit like pulling teeth. However, it really doesn’t have to be – let’s go over the basics in this step-by-step breakdown of finding the right dentist! How convenient is the office to get to from your job or home? How compatible are the office hours with your schedule? If you do have dental benefits, is the dentist a part of your coverage plan? Will fees be given upfront before treatment begins? What type of anesthesia is the dentist certified to administer? What is the dentist’s policy regarding missed appointments? How up-to-date are they regarding new technology and techniques? Where did they study and how long have they been practicing? If I have an emergency outside of office hours, has the dentist arranged for a referral? Will my dental record be recorded in a permanent file? If you’re comparison shopping, ask for an estimate cost of a few basic procedures such as a full-mouth X-ray or filling a cavity. Now that you’ve brushed up on some basic questions to keep in mind during your search, let’s explore your options in finding your future dentist. You’ve probably driven by plenty of dentist’s offices and seen their signs or noticed ads online or even on social media, but having so many options doesn’t make the search for the right dentist any easier. One of the best methods is to do it the old fashioned way – ask someone you know and trust for a recommendation. If you’re moving, you can even ask your current dentist for their suggestion. Another tool at your disposal is the ADA (American Dental Association) website which provides a Find-A-Dentist option to locate a dentist in your location. The ADA ensures that its dentists stand by a code of ethics that in turn helps ensure that you are in good hands. If you have a dentist in mind but aren’t completely sure, schedule a consultation time to meet the dentist and staff before making an appointment! This isn’t uncommon so don’t be shy in asking for this. A dentist is going to be in your life for a long time and it needs to be someone that you are 100% sure about. Doing this will also allow you to see how comfortable you feel face-to-face, how welcoming, warm, and tidy their office is or isn’t, and how friendly the staff is before committing. Be sure to also bring your questions on your phone or a print out! If you live in the Bothell area be sure to stop by Creekside Dental and say hi! Teeth grinding, medically referred to as bruxism, impacts the ability for over 30 million people of all ages to get a good night’s sleep. Currently, researchers are working on determining what the exact cause or causes are of this painful, and self-destructive condition. However, there is some evidence pointing towards both stress and anxiety as being huge contributing factors to teeth grinding. There have also been findings that point to substances like alcohol and caffeine as the culprits behind the issue. In addition, bruxism has been found to be most common in those suffering with sleep conditions like sleep apnea. Although mouth guards are often the first line of defense against teeth grinding, there are several drawbacks to using this approach. The first drawback, is the actual price of these devices. The average cost ranges from $300 to $1,000 when patients go through their dentists to obtain a mouth guard that is customized to fit them “perfectly.” In spite of this customization, the chief complain amongst patients who choose this route is that the guard doesn’t fit right, is uncomfortable to wear, or further disrupts their sleep. Finally, the biggest downside to mouth guards is that they don’t treat the actual problem of teeth grinding at its root. Instead, they merely treat the symptoms of it and protect an individual’s teeth. The actual teeth grinding is never stopped. So, what are some more affordable and feasible alternative to the mouth guard? There are a plethora of options to choose from. There is evidence to support that cognitive beahvaioral therapy can work to lessen an individual’s overall stress and anxiety levels, as well as replace bruxism with a more effective, less damaging coping strategy. Speaking of coping methods, exercise of almost any kind has also been found to help those suffering from teeth grinding kick the habit. Specifically, exercise like meditation, yoga, or tai chi that focus on mindfulness have been found to have the greatest impact. Additionally, according to the Journal of Oral Science, eating more magnesium rich foods (like spinach and almonds) can help combat bruxism as well. Magnesium has been linked to play a role in both proper muscle and nerve functioning. Overall, there are many solutions to help individual’s deal with and overcome teeth grinding at night without the use of an uncomfortable, pricey mouth guard. From therapy, to exercise, and even just cutting out caffeine; simple lifestyle changes have been proven effective in overcoming bruxism and getting a good night’s sleep. Furthermore, decreasing your overall levels of both stress and anxiety can have a beneficial impact on other areas of your life as well. Your overall mood will improve, you’ll feel empowered to tackle more challenges at work/home, and you will be the best version of yourself. Check out Our New Teeth Whitening Video! We've made our second video, we hope you like it. Let us know what you think in the comments! What are CEREC crowns and how are they different from traditional porcelain crowns? Have you ever needed a crown due to a broken or cracked tooth or you lost a large filling? Maybe you’ve had a root canal or needed to replace a failing crown. Well there is exciting cutting-edge technology to be able to create a crown start to finish in one simple appointment without a mouthful of impression material. They are called CEREC crowns. At Creekside Dental in Bothell we know how important your time is and how much you value your dental health. We work hard to provide excellent crowns using conventional or convenient CEREC crowns utilizing advanced dental technology. CEREC is a high tech dental device in the office that consists of both a computer and a milling unit. CEREC (or Chairside Economical Restoration of Esthetic Ceramics, or CEramic REConstruction) uses CAD/CAM technology (computer-aided design and computer-aided manufacturing). CEREC technology allows us to create your CEREC crown in only one visit. The technology allows us to map the inside of your mouth and takes a scanned digital image of your tooth that is very accurate. Your crown is then milled out of a solid ceramic block by the milling machine, polished, fitted and bonded to your tooth after it’s prepared by Dr. Moody. How are they different from conventional porcelain crowns? Chairside CEREC crowns differ from typical crowns in that they are bonded to the tooth the same day. Conventional crowns require two shorter visits and require a temporary crown to be in place for 7-10 days while the lab makes a crown. The patient will return for a second visit to have the temporary removed and the laboratory made crown cemented or bonded in place. Also, CEREC restorations can often have a more conservative preparation of the tooth. And not only is the one-day service a great benefit to patients, the time involved is not significantly longer than the two visits total needed for a typical crown. Plus, the fee is not any different. Why not make all crowns using this technology? While CEREC crowns are definitely a great way to make crowns and a nice option to save time in the chair it sometimes makes sense to make a traditional crown. Sometimes esthetics is more critical and we can make a beautiful Emax (lithium disilicate) crown for anterior teeth that is a very life-like glass ceramic but requires us to have our lab fabricate the crown. Then there are Zirconia crowns which are a newer but even stronger material that we'll often use on molars where patients have a history of clenching or grinding their teeth or have had cracks in their teeth before. And if it is a deep "prep" it may be difficult to get a good digital image of your tooth, often with replacing old crowns and then we'll make a regular impression for a conventional crown. Ultimately, we want to be able to offer some great choices to patients where few other dental offices offer these different types of crowns. At Creekside Dental we want to provide the best possible crown that suits your teeth and is either made with our exciting CEREC technology or made by our excellent lab and customized for your mouth to make restorations that last a long time for your strong and healthy smile. Like they say on the medication commercials "call your doctor and find out if CEREC crowns are right for you." Have you noticed that even with good oral hygiene like brushing and flossing daily, your smile isn’t as dazzling as it once was? You can prevent stains with proper hygiene, but things such as aging, medications, food and drinks can contribute to yellowing or causing other tooth discoloring. If you’ve considered whitening your teeth you may have been wondering if the cost of professional whitening is high. But in-office whitening is one of the most effective and safest whitening methods out there. There are many forms of whitening products including OTC (over the counter) products that usually contain carbamide peroxide or hydrogen peroxide as their primary bleaching material. But the professional composition separates it from the rest and therefore carries a higher cost compared to over the counter options. As opposed to home whitening options containing lower formulations of their bleaching agents, professional whitening procedures are monitored and contain a higher concentration of bleaching gel. This also leads to temporary sensitivity for this reason in some patients and some patients report minor tissue irritation. Nonetheless, with the concentration of the gel being stronger results are seen more rapidly. Within 2-3 weeks patients typically have a more noticeable change as opposed to OTC kits where they would notice a smaller change or would have to use the product for more days or weeks to get closer to the same result. One of the obvious drawbacks to OTC whitening is that no dental examination is required before starting treatment. The ADA recommends everyone considering a whitening treatment to have an evaluation to determine if their teeth and gums are healthy enough for whitening. An exam can help to determine whether the discoloration or staining can be improved and to check previous restorations and see what color mismatches might be an issue. Sometimes teeth can be sensitive after whitening treatments. There are options to minimize the discomfort. Using a sensitive toothpaste before or after treatments can be helpful. Avoid whitening for a while and take a break from whitening for a day or several days. And now many professional whitening products contain potassium nitrate to help minimize sensitivity of the gels better than previous products. Is professional whitening worth it? Once you've been seen by the dentist and have been cleared for whitening, choosing a method to use is a matter of your budget and personal preference. If you're looking for fast results and a dramatic whitening effect, professional whitening is your best option. Go for it. Custom made trays can be made by taking impressions of your teeth and an easy to use kit can be ready for you in 1-3 days after. Welcome to our blog, we will be posting monthly, on the first and second Monday of the month. So come back on February 5th for our first blog post!